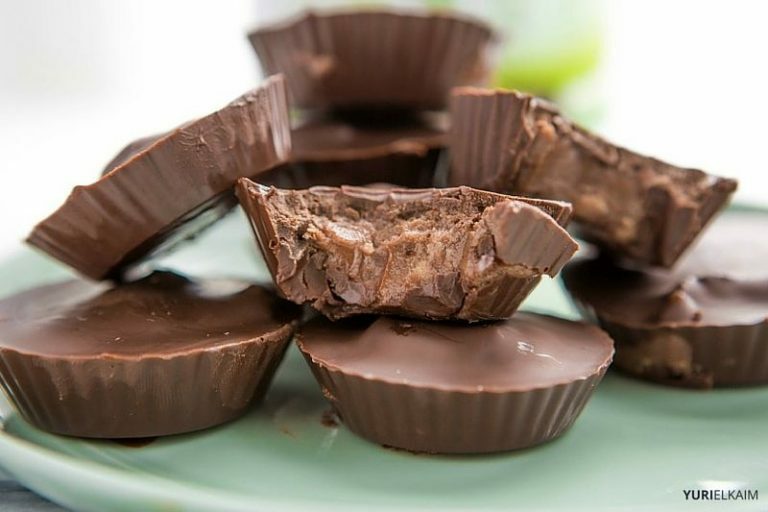 Store-bought peanut butter cups are full of added sugar and who-knows-what additives. Why not make your own so you’re in control of the ingredients? 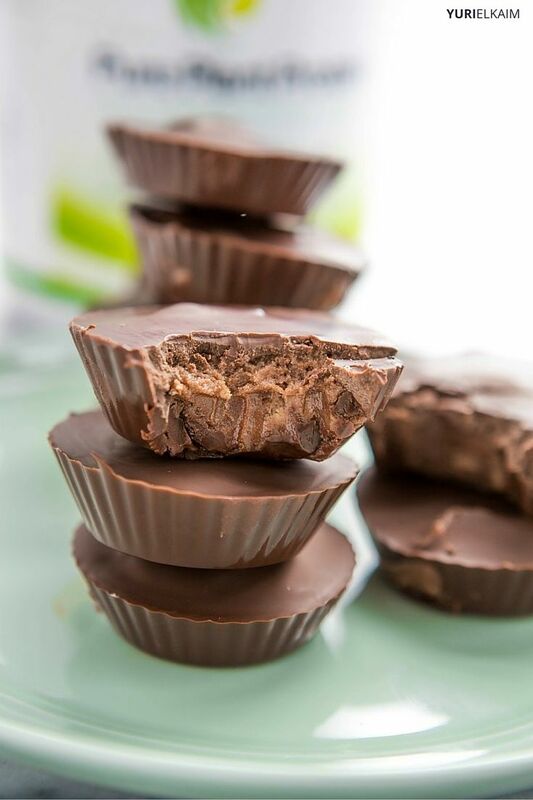 These homemade peanut butter cups are not only tasty, but they also feature extra protein in the form of protein powder and almonds. Protein is key to keeping you satiated after eating and helping to build and repair muscles, cartilage, and skin. It’s also a good way to improve your metabolism. And when you can manage all that while eating healthy desserts, you’re on to something! I used coconut oil as the fat, since it contains a unique medium-chain triglyceride that curbs hunger, increases your metabolism, and reduces insulin sensitivity. It’s melted with vegan chocolate chips for a creamy, chocolaty layer that’s irresistibly good. Even though there’s a little sweetness in these cups, I always avoid refined white sugar and use a natural sweetener. Maple syrup adds a nice flavor while also including trace antioxidants and important minerals that refined sugar lacks. In a large bowl, stir together peanut butter, Pure Plant Protein and maple syrup. In a separate microwave­-safe bowl, melt chocolate chips and coconut oil together until just smooth. 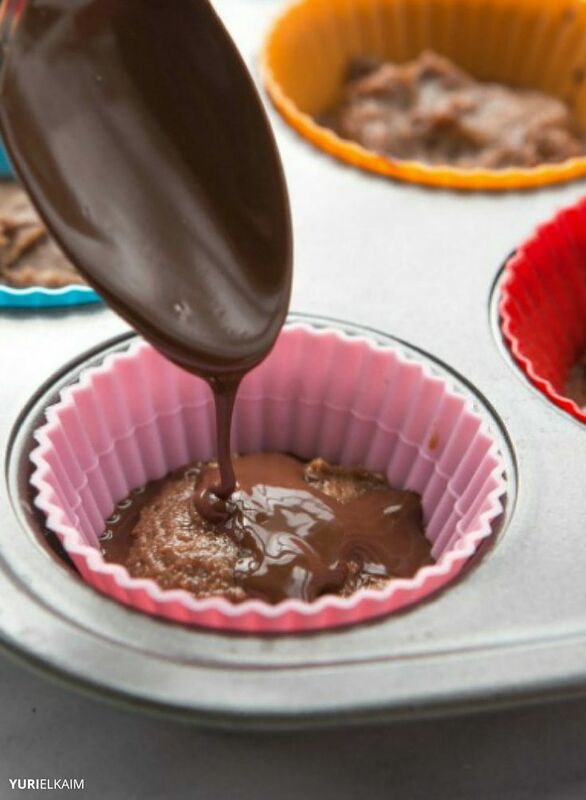 Spoon a small amount of melted chocolate into the bottom of muffin tin lined with parchment or silicone baking cups. Add a dollop of peanut butter on top. 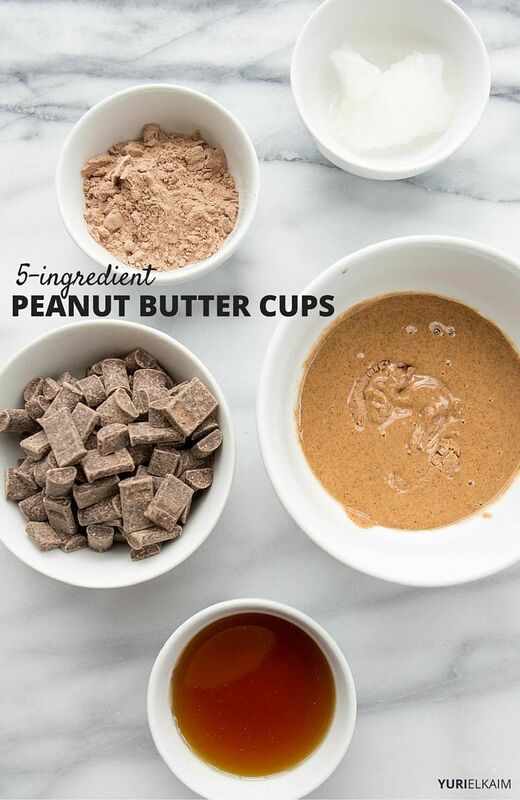 Drizzle chocolate on top of each cup, adding enough to cover the peanut butter mixture. Refrigerate until hardened. To store, keep in an airtight container in the fridge until ready to serve. Enjoy within 2 weeks. Enjoy Life! chcoolate chips are dairy-free, nut-free, and soy-free, and can be found at any natural grocery store in the baking aisle. Make sure to buy organic, virgin, unrefined, expeller-pressed coconut oil. If you like this recipe, you’ll want to check out my free “Healthy Desserts” eBook, which contains 8 energy-boosting desserts so tasty you’ll swear they are bad for you. Download it for FREE by clicking the banner below.